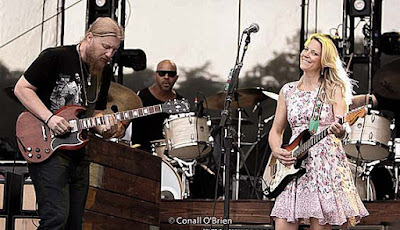 Once again the award-winning Tedeschi Trucks Band makes their sixth headlining appearance at the 2018 Sunshine Music Festival and has handpicked an unparalleled line-up of exciting acts on two live music stages along with a wider array of refreshing craft beers and a larger variety of food vendors. Prices for both venues are: $64.95* for General Admission; $129.95* for Reserved Seats; and $229.95* for VIP. Boca Raton, Mizner Park has special balcony seating for $99.95*. The VIP Package also includes: a commemorative T-shirt, a commemorative laminate, best available reserve seating, a specialty lunch, private restrooms and a private winetasting.